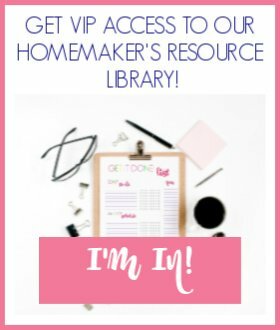 A new homeschool year is upon us! I’m so excited because my kids and I are doing My Father’s World Adventures in US history this year. 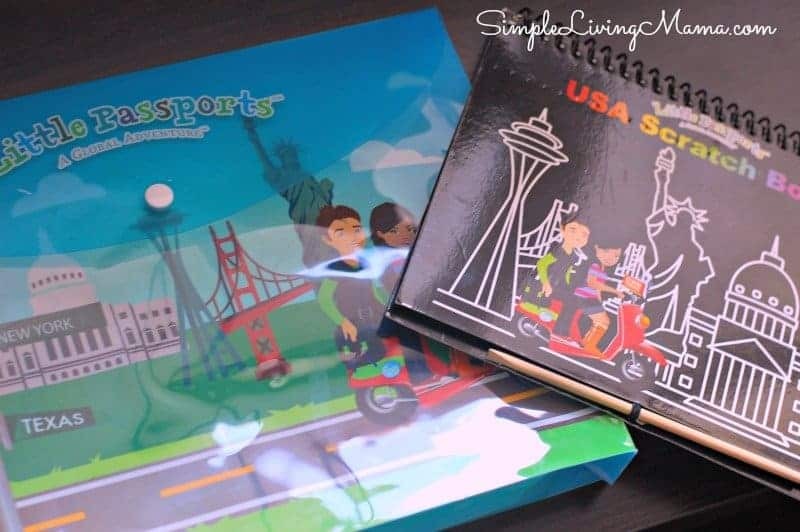 I’ve been searching around for supplements, and I found that Little Passports USA edition looked like the perfect fit to supplement our homeschool year. We’ve already received our first package, so I thought it would be fun to show you what’s inside. 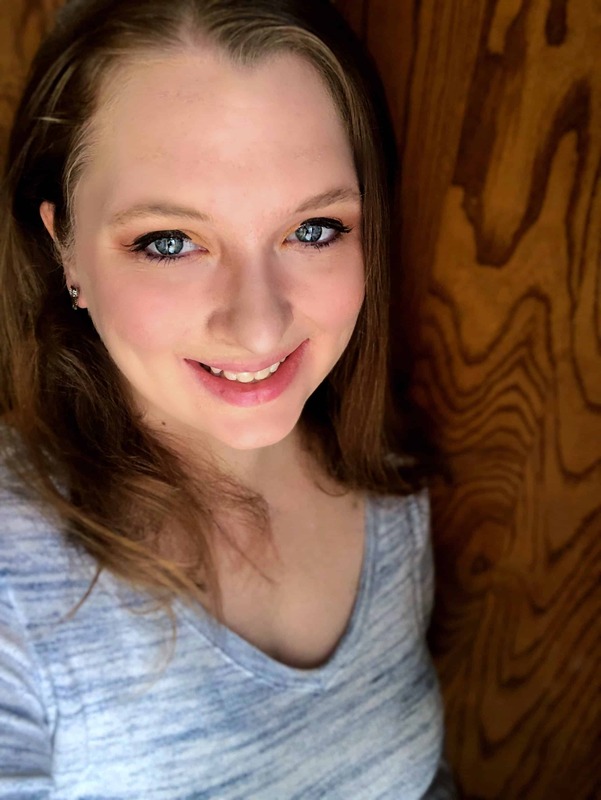 Psst…there’s a video of us opening the package at the end of the post! So, everything comes in a large envelope that is cleverly designed with state names and a picture of Sam and Sofia. Sam and Sofia will be sending all of the souvenirs and information about the states each month. You will get info about two states with every package. We signed up for the three month subscription package. 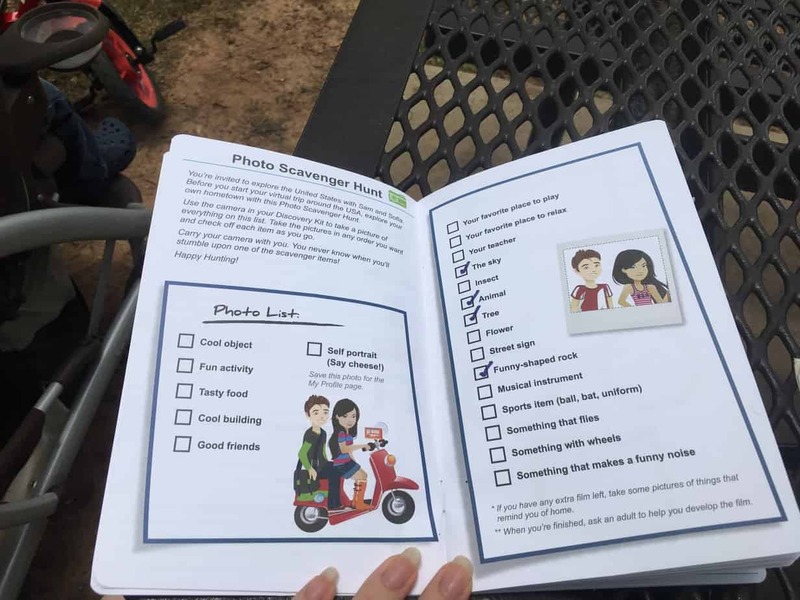 The field guide includes a scavenger hunt that you are supposed to do with the camera. My kids really had no idea what the camera was. It’s been so long since I used a camera like that. We may just use my regular camera to do the scavenger hunt. 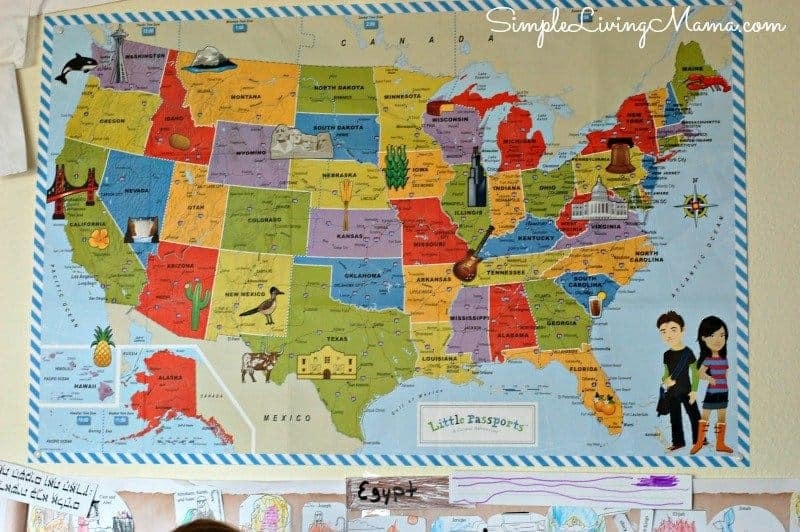 There’s also spots to do some journaling as well as fill in all of the information about each state you receive. 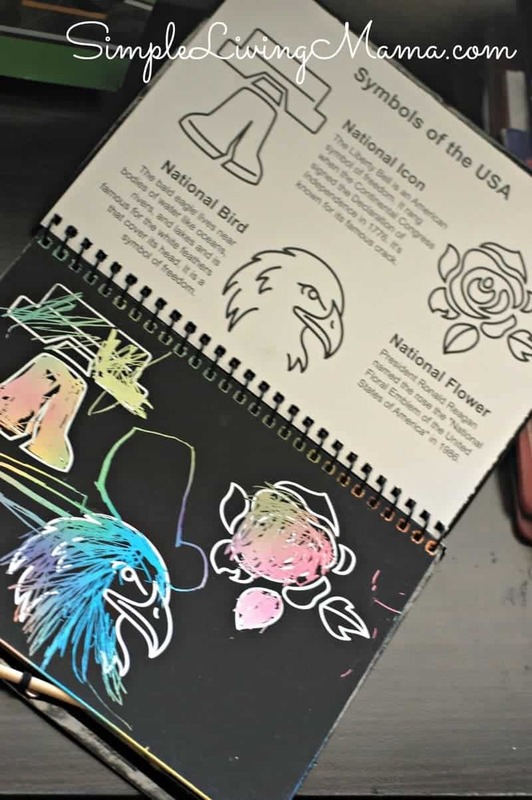 The scratch book is fun for the kids to do some artwork. My favorite is the wall map. I’ve already got in hung in our school room right about our timeline. I am planning to do more vidoes as we receive our packages. The kids are really excited every time they get mail, so Little Passports gives them something to look forward to every month, and we learn a lot. 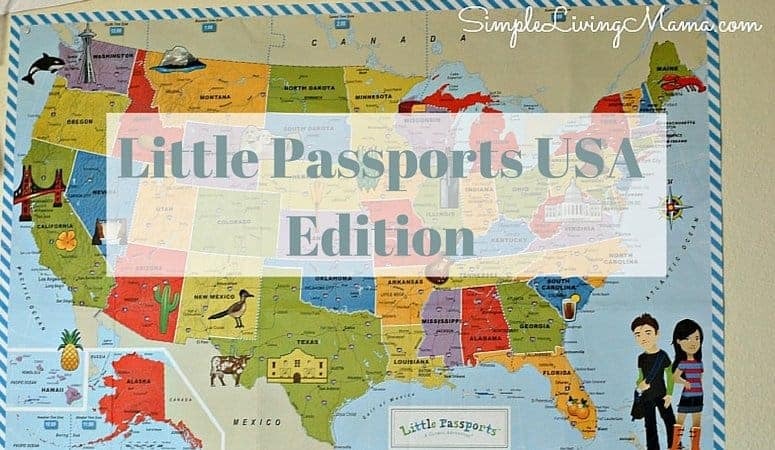 Little Passports has other packages available. 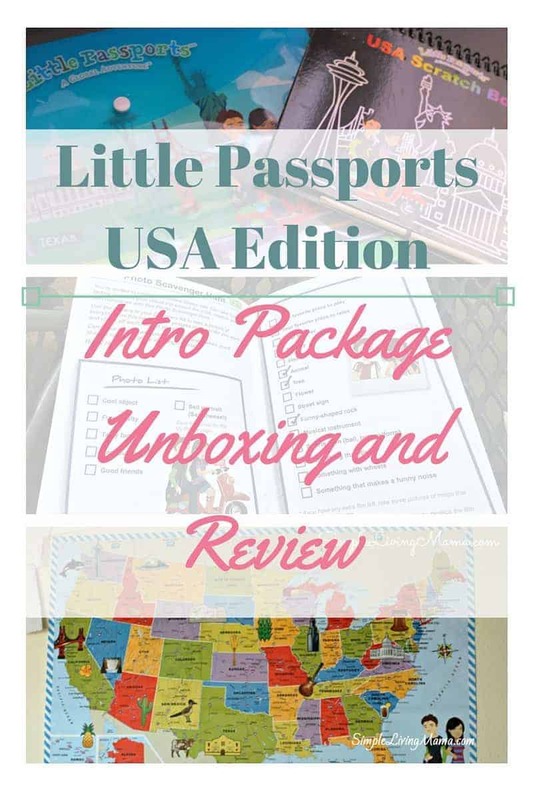 There is a world package for 6-10 year olds, a little explorers package, for 3-5 year olds and of course, the USA edition for 7-12 year olds.